Rhododendron Valley Trekking trail take you Himalayan rhododendron trek valley of Sikkim. 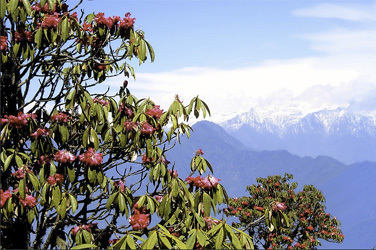 Discover the Hidden treasure of Sikkim, valleys carpeted with wild flowers that bloom in the spring, from late April to mid May, the forests of Sikkim are ablaze with brilliant rhododendron blossom for miles and miles. On this tour we explore the Maenam and Barsay wildlife sanctuaries in the south and west, and then move northwards to the Yumthang Valley. Yumthang is one of Sikkim’s most beautiful areas and here too, its meadows are swathed with delightful blooms of alpine flora. The day hikes on this program range from easy to moderate and can be done by anyone in relative in good shape with an interest for the outdoors. 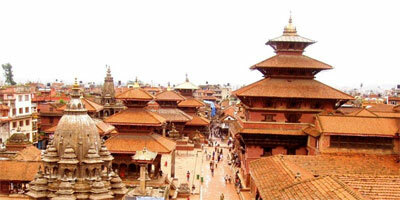 This trek can be done by both young and old and is of special interest to the nature lover. During this trek you can enjoy an abundance of wild flowers, the rare blue poppy, many variety of rhododendrons, rhubarb, amongst many other species. The valleys and mountain sides are the home of the rare blue sheep and the elusive snow leopard. There are great view of many snow capped peaks . A rewarding trek to a Himalayan valley of rare beauty. Overnight in hotel. On arrival meet, assist and drive to Darjeeling along the picturesque Hill Cart Road through vast expanses of tea gardens. For over a century and a half, Darjeeling has been the darling of the Eastern Himalayas, where suave British ‘sahibs’ crossed paths with dauntless Tibetan traders, and explorers disguised as monks and mendicants prepared for their passage to Tibet. This charming town drapes itself along a high ridge facing a glorious view of the Khangchendzonga range. Darjeeling was once a part of neighboring Sikkim but in 1835 was annexed by the British to be developed as a sanatorium and summer retreat for the ailing bureaucrats languishing in the torrid Indian summers of the plains. So enamored were they by Darjeeling's quiet beauty, that they coined the term 'Queen of the Hills' to convey their appreciation. Today its narrow lanes zigzag through steep slopes occupied by antique gabled Victorian houses and stately boarding schools, their turf resplendently embellished with flowers typifying English country gardens. The sprawling Planters' Club recalls that era of frivolous indulgence, while gothic churches speak for the missionaries who came for altogether different reasons. Wake up to a magnificent view of the Khangchendzonga range from your window and begin the day with a hot cup of ‘that special Darjeeling tea’. Early risers may like to take a stroll around the Mall of Chowrastha. The square at the Mall is relatively empty at this time of the day but expect to find a small group of people, mostly joggers and fitness buffs or devotees heading for the Mahankal shrine. We begin our sightseeing of Darjeeling after breakfast, and as much as possible, we will walk through various portions of this remarkable hill resort to get a sense of its ambience. By the time we are out from our hotel, the town is already bustling with the activities of the day and a sea of clouds steaming from the valley below slowly begins to obscure the mountain-view for the rest of the day. The streets begin to fill with people on their daily task; children briskly heading for their schools, the working people also head to their jobs. Souvenir hawkers busy themselves along pavements spreading their wares over makeshift stalls. 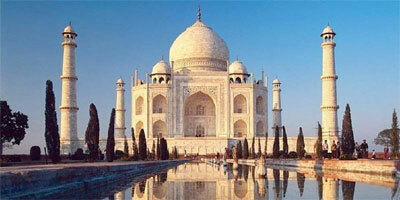 As always, sweaters and shawls in bright and dazzling colors draw the attention of tourists from the plains of Bengal. It’s springtime in Darjeeling, and the ‘season’ is on! To acquaint ourselves with the region’s biodiversity, we visit the Lloyd Botanical Gardens and the Natural History Museum. After lunch, we visit the Himalayan Zoological Park and the Himalayan Mountaineering Institute and it’s museum. This is where Sherpa Tenzing Norgay, one of the first two people to conquer Everest served as its first Field Director. Day 03 : Barsey - 3300 m.
After breakfast, we depart for Hilley, a drive through tea gardens and luxuriant countryside. For the first 35 kilometers it is downhill all the way till Jorethang at which point we enter Sikkim. From Jorethang, we take the right turn crossing the Rangeet River and the next stage of the trip is uphill all the way. Stop at Sombarey for lunch, and continue with the drive to Hilley. From Hilley, we take a leisurely 1 hour 15-minute walk to Barsay through the aroma of blooming rhododendron flowers. Barsay lies on a massive ridge with a forest cover of silver fir, hemlock and magnolia including rhododendron. This protected forest also happens to be one of the best birding sites in West Sikkim. Dinner for the evening and breakfast on the morrow will be prepared by our camp cook, simple but delicious, fresh and served hot. Day 04 : Rabongla – 1950 m.
After breakfast proceed along a well-trodden path to the village of Dentam (1,500 m) traversing through a mixed forest with yet more rhododendrons in bloom. Bird sightings may likely include the Tragopan and Kalij pheasants, the Golden Robin and Laughing Thrushes. The constant view of the snowy Khangchendzonga range in the background adds further appeal to this hike. Board vehicle in Dentam and view picturesque rural scenes of terrace paddy fields and farmers at work as your drive progresses. Halt at Pelling for lunch. After lunch, a quick tour of the Pemayangtse Monastery, then continue on the drive to Rabongla, which takes us down to the bed the Rangeet valley in Legship and after crossing the river we climb uphill for the rest of the journey through several switchbacks. Rabongla, a small one-street-town lies on the saddle of the ridge that runs across Maenam Peak and Tendong Hill. During the late 60’s there was an effort by the state government to develop a tea plantation over here but the project was discontinued when the plants were wasted away by winter frost. Day 05 : Maenam - 3200 m.
After breakfast trek through a dense rhododendron forest radiant in bloom – their colors ranging from brilliant red to milky white. Occasionally you might catch glimpses of the sanctuary’s shy fauna - a rare experience since these animals are masters of camouflage. Maenam Peak’s location lies close to the centre of Sikkim and offers a most spectacular and comprehensive view that one can get of the Sikkim Himalayas including the plains of Bengal. Once again, all meals for this overnight trek including breakfast and lunch for the following day will be prepared by our camp cook and his crew. Day 06: Gangtok – 1666 m.
We conclude our visit to the Maenam Wildlife Sanctuary by making a 12-kilometer descent to the village of Borong-1900 m. After an early midday-lunch at Borong plus an exploratory walk through the village, we board our vehicles and head for Gangtok. Today’s drive begins with a short ascent into the main highway after which we begin our descent into the Teesta valley having entered the eastern slopes of the Maenam Peak mountain system. A little distance beyond the mid-point of our drive we arrive at the banks of the Teesta River and onto Singtam, a town that developed because of its location as a junction and supply point for the South District. Onwards from Singtam, we begin our ascent into Gangtok. The winding roadway is interspersed with several flat stretches through luxuriant subtropical vegetation until we reach Ranipool. Here onwards, the last 12 kilometers is a relatively steep climb all the way to Gangtok. Gangtok, the state’s capital is a booming hill town. From the time of Sikkim’s merger with India in 1975, the town has grown rapidly. Sadly, most of the expansion that took place was done without much planning and foresight. But, amidst the disarray of boxy concrete structures, Gangtok’s pleasant location as well as the several heritage sites it has such as monasteries and shrines makes it a place worthy of at least a day’s sightseeing! Following breakfast, a day’s sightseeing of Gangtok. We begin the day’s excursion by driving to one of the highest points above the town for a birds eye view of the town, and if the horizon is clear, we shall be seeing the mountains as well. Here onwards, each place we visit takes us lower down the hill. 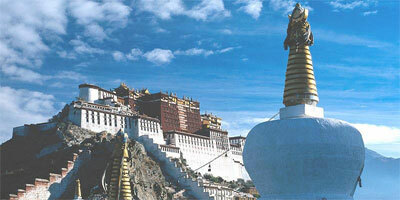 Enchey Monastery: Enchey means ‘High strong place’ . It is said that the great tantric master ‘Lama Druptab Karpo’ flew from Maenam Hill to this site and built a shrine where the monastery stands today. The present monastery was built during the reign of Choygyal Thutob Namgyal in 1909. Its main festival, the Detor Chaam (a religious masked dance) is performed on the 28th and 29th day of the eleventh Tibetan month. Proceed downhill to the ‘Ridge’ to see the Spring Flower Festival. Just above this area is Mintokgang, now the official residence of Sikkim’s Chief Minister, and about two hundred meters beyond on the other side is the palace of the former monarch. Next, we visit the Directorate of Handicrafts & Handloom where you can watch traditional handicrafts in the making. This institution was established for training the rural Sikkimese in traditional arts and craft. This is the place to shop for quality souvenirs. Some of the popular items produced here are hand-carved chokchis (Sikkimese tables with intricately carved designs), carpets, hand-woven cloth and blankets, masks, lampshades and paper products. On driving further downhill, we arrive at Deorali Bazaar where nearby on a tranquil hillock is the Dodrul Chorten, Gangtok’s most revered Buddhist shrine. This chorten was built in 1945 by Trulsi Rimpoche to commemorate the victory of good over evil. 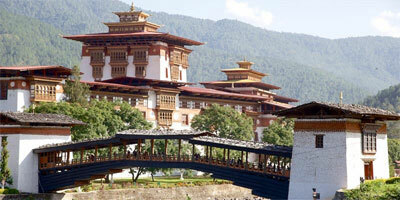 Alongside the chorten is the Namgyal Institute of Tibetology, renowned worldwide for higher Buddhist studies. It is a treasure house of rare Lepcha, Tibetan and Sanskrit manuscripts, priceless statues and old thangkas. After lunch, free time to relax or explore the town on your own. Day 08 : Departure to Bagdogra / Bhadrapur Nepal Border Drop.